Heavy metal band Kiss announced their 2016 Freedom to Rock summer tour around the United States, where they will be visiting over 25 cities they have not been to in over a decade and, also, playing in four cities where they have never made concerts before. So far, the band has revealed 36 concert stops on their official website, but it is known that they still have not announced all of them yet. According to the release, the reason why the band selected those specific places to perform is because they wanted to take the Freedom to Rock tour to its fans in towns that they have not had the chance to play in. The tour will begin this summer in Boise, Idaho on July 7, 2016, ending in Huntington, West Virginia on September 10, of the same year. The American Idol season 13 winner, Caleb Johnson, will be opening for the band during the shows from July 7 to August 10. The rest of the tour will be opened by the rock band the Dead Daisies. Most of the tickets for the Freedom to Rock tour will go on sale Friday, April 15, 2016. Additional show dates will be announced in the upcoming weeks. 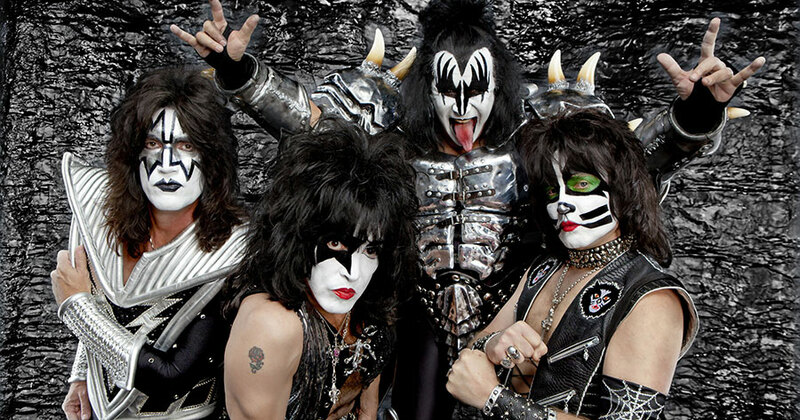 Kiss is a very important American rock band, being one of the top gold-record champions. The band has sold over 100 million albums worldwide throughout its 40 years of career. Kiss has traveled around the world, having record-breaking tours for decades. Important performances include appearances at Super Bowl XXXIII, the 2002 Winter Olympics, the 2002 Rockin’ the Corps concert for the U.S. troops in Iraq and Afghanistan, and the 2009 performance in American Idol finale, for 30 million viewers. Tickets will be around $39.50, $89.50, or $125.00.